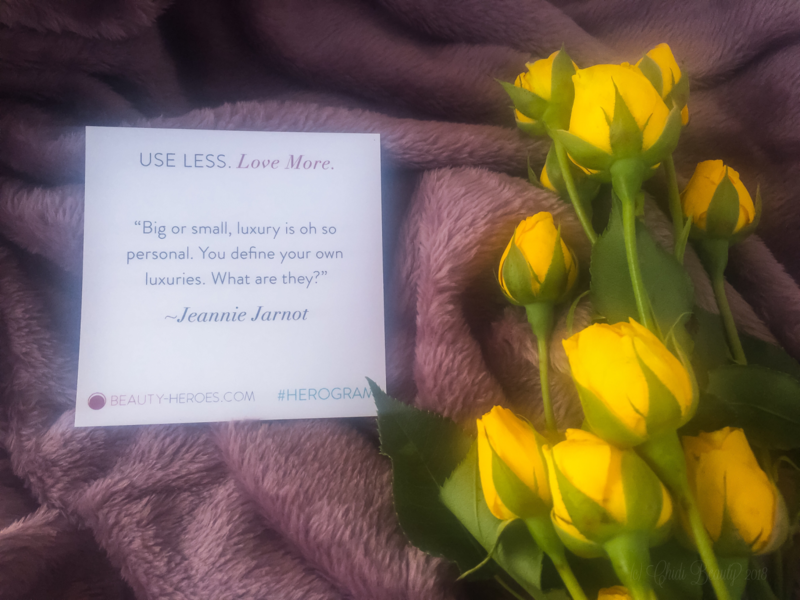 Beauty Heroes is by far one of, if not the most worthwhile beauty subscription box on the market. But after a bad customer service experience following Hurricanes Irma and Maria in 2017, ironically the same months that Beauty Heroes first featured Ayuna, I decided not to renew my subscription. Of course I still followed Beauty Heroes on social media. And I had been following Ayuna on social media almost since the day they launched. But given the vast number of beauty products on my timeline and in my home I didn’t feel like I was missing out. That is until August 2018. 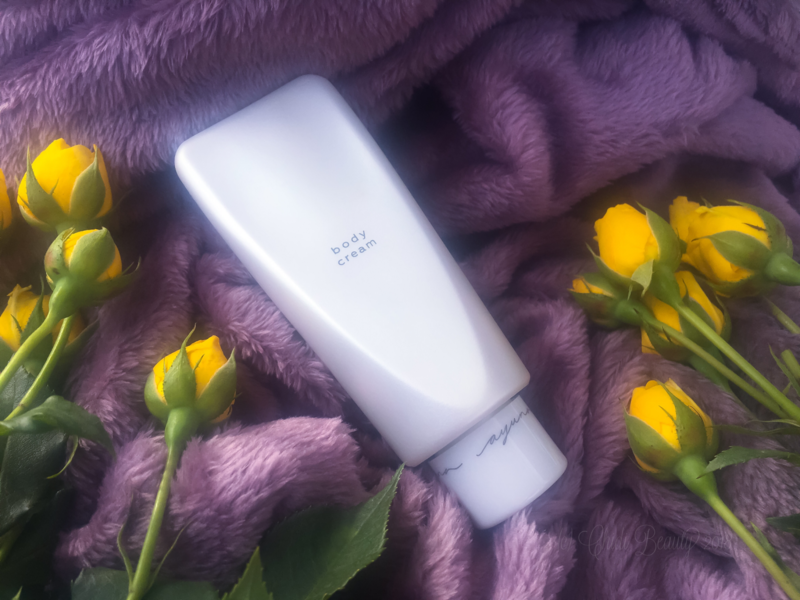 On August 1, 2018, Beauty Heroes announced that the featured brand would be Ayuna; the hero product would be their Cream II and the sidekick their newly launched Body Cream. 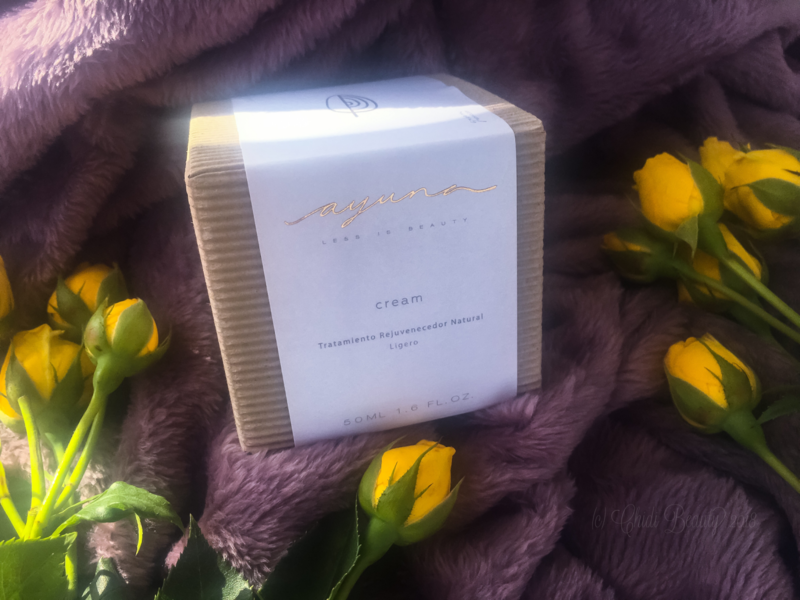 Known for expertly combining natural ingredients and safe synthetics, Ayuna’s products are professionally formulated and that expertise, in part, is reflected in the price. Though somewhat pricey, Ayuna had been on my radar seemingly since they first launched. Around the same time, though, I grew weary of unmerited overpriced beauty and skincare products. Several months passed and I never pulled the trigger on the brand. This was my chance to take the plunge with minimal risk. So I dusted off my Beauty Heroes subscription and renewed it for three months, which is approximately the same cost as Ayuna’s face cream alone. Then I was left to wait with anticipation for the first box to arrive. While waiting to receive this box I did something out of the ordinary: I watched other reviews of the products before writing my own. That is something I deliberately try to avoid because I prefer to form my own first impressions unaffected by any outside influence. Once I have put my thoughts onto paper I might then look at other reviews. 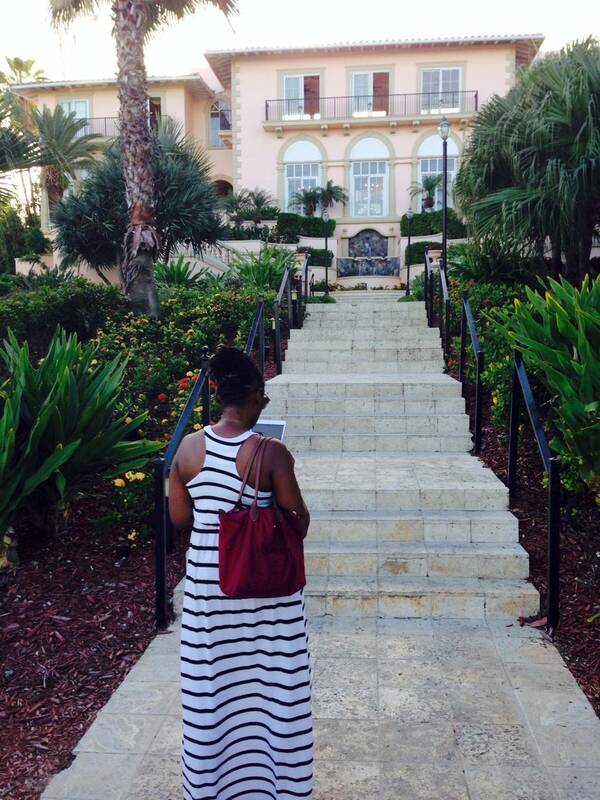 But that is normally the end of my creative and research process – not the beginning. Thankfully, in this case my curiosity proved useful. 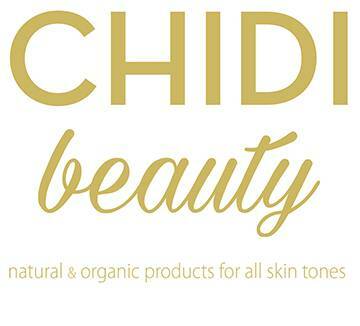 The first review I watched was by one of the most informative green beauty bloggers: Marie a.k.a. And the Color Green. One of the best things about Marie’s YouTube channel is that, in addition to being funny, she is a big science nerd. Her videos are a great source of fact-checked, research-based information about makeup and green beauty products. 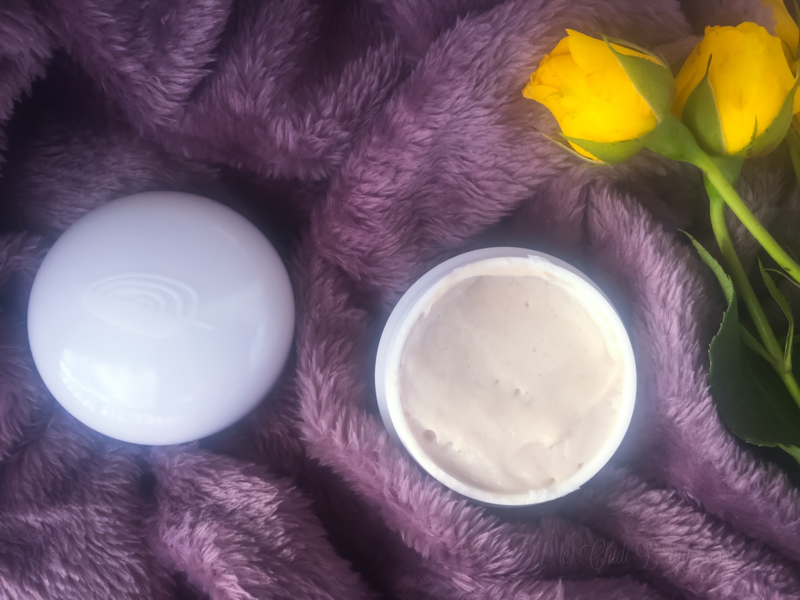 One important takeaway from Marie’s Ayuna review is that the Body Cream doubles as a skin treatment. Why am I so glad to have this seemingly innocuous piece of information before trying the Body Cream? Because it prevented me from blowing through a $118.00 USD moisturizer in less than one week. 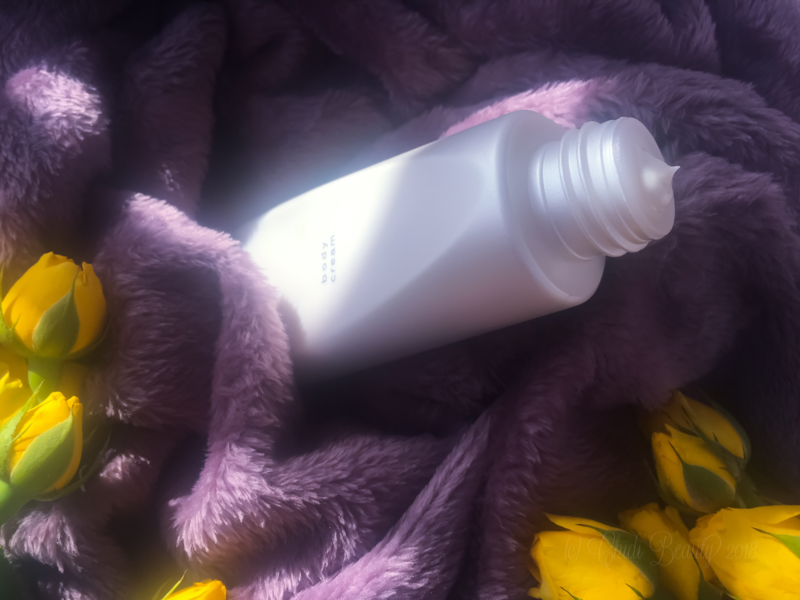 Ayuna’s Body Cream is a lightweight lotion that is neither runny nor thick. It is also non-greasy and non-sticky. Those qualities make it both an ideal hand cream and summertime body lotion. Instead of using the Body Cream on my entire body I decided to use it on a patch of problem skin that oftentimes feels inconsolably itchy. The first time using it on my problem patch of skin there was no itchiness at all! So far so good. As I continued to use the moisturizer on that area it helped lessen the itchiness, but did not completely prevent or relieve it. Another thing I learned from Marie’s video, and other reviews, is that the scent of Ayuna’s products is a bit controversial. I don’t know why. Apparently it is something that people either love or hate. My first impression of Body Cream’s scent is that it does not smell bad at all. It simply smells like the age you have to be to afford this moisturizer on a regular basis. The scent is not at all powerful. And after a few weeks of daily use I stopped noticing the scent altogether. As you will see below, the the Cream II jar is extremely well designed. For some reason Ayuna did not follow suit with the packaging for its Body Cream. Ayana’s forte, and the foundation of its reputation, is expert formulation and high-quality ingredients. High-quality products should have commensurate packaging. Recyclable glass jars and a better design would greatly improve the branding and overall product experience of Ayuna’s Body Cream. As I began to run out of product the tube the plastic tube came apart on its own. The top somehow popped out of the base allowing product to spill out of the sides and accumulate in the cap. I had to push the top back in a few times and use the product that was spilling out before the packaging decided that it wanted to stay intact. This is not a major flaw but at $118.00 for 200 mL, I would want to get every last drop of what I paid for. Heck, I want every last drop of what I paid for even though the products came at a discount through a subscription box. Ayana should definitely invest in improving the Body Cream’s packaging. Other than the packaging, there is nothing negative to be said about Ayuna’s Body Cream. Unfortunately, I am equally hard-pressed to identify any qualities or effects of the Body Cream that would allow me to justify the price tag. I’d be interested to hear from anyone suffering from dermatitis, allergies or other skin issues who has had a noticeably good experience with this moisturizer. Absent any such testimonies, or an income that would make the price tag of this moisturizer inconsequential, I cannot recommend the Body Cream as a worthwhile purchase. First things first, the packaging for Ayuna’s Cream II deserves recognition in and of itself. Not only is the clean, minimalist jar a simplistic beauty to admire, but it’s smooth, seamless surface fits neatly in the palm of the hand and feels good in the palm of the hand too. The only way to improve this design would be if the jar were made of glass. But material choice aside, I love this jar and anyone else who appreciates good design will too. Admittedly, I cannot tell whether this facial cream had any effect on my skin’s regenerative abilities. Perhaps my skin was effected on a cellular level, but if it was the effects did not occur in any way perceivable by the naked eye. For the most part Cream II has maintained the status quo, though my skin seemed slightly more congested towards the end of this trial. If anything, Cream II is probably slightly too rich for my oily, acne-prone skin in the humid climate where I live. I have no doubt that Cream II is better suited for cooler temperatures, a drier climate or drier complexions. Cream II retails at $198.00 for 50 mL/1.6 oz. This exceeds the face value of most professional and prescription skincare treatments I have used in my lifetime. This would be fine if the results matched the price. However, they do not. To Ayuna’s credit the product size is generous. After one month of once daily use the jar is still roughly one-third full. Considering the value, the sticker price looses some of its shock. Nonetheless, I have been so eager to return to my regular liquids, gels and creams that I have no real desire to finish the product. I will though. Because I don’t want to be wasteful, especially with such an expensive product. At the end of the day, even if the price were reduced by half, I would not repurchase Ayuna’s Cream II because it had no compellingly beneficial effect on my skin, let alone one justified by the price tag. Overall, Ayuna’s products are well-formulated and use ingredients with which I feel comfortable. On the other hand, I didn’t experience any noticeable effects that would allow me to justify purchasing either product at its current price, or even at a significantly reduced price. Despite very much wanting to like these products, at the end of the day I couldn’t. Perhaps other Ayuna products are more impressive. I certainly hope so. But after finally experiencing the Cream II and Body Cream for myself I have learned that in this particular instance the grass is not greener on the other side. Have you ever built up a product in your mind only to be disappointed when you actually tried it? Or have you had a good experience with any Ayuna products? Let us know in the comments section below.